Who doesn’t need more energy? Who doesn’t love cocoa? There are a lot of health benefits to consuming cocoa, as long as it is not ladened down with sugar and dairy as it might be in sweets and chocolate. There are dietary supplements that will satisfy your cocoa urges without the calories and weight gain of consuming chocolate bars and cupcakes. They will even improve your health! Epidemiological data demonstrate that regular dietary intake of plant-derived foods and beverages reduces the risk of coronary heart disease and stroke. Among many ingredients, cocoa might be an important mediator. Indeed, recent research demonstrates a beneficial effect of cocoa on blood pressure, insulin resistance, and vascular and platelet function. Although still debated, a range of potential mechanisms through which cocoa might exert its benefits on cardiovascular health have been proposed, including activation of nitric oxide and antioxidant and antiinflammatory effects. Good news for cocoa lovers like me! We were sent two organic energizing cocoa supplements from Whole Foods to try. Both of these products are in powder form and are organic. What’s the secret to getting so much soy-free plant-based protein into our Amazing Meal? It’s our Protein Blend, which is a mix of organic brown rice protein, organic hemp protein, organic quinoa and organic pumpkin seed protein. Hemp protein can supply any diet with a vegetarian source of antioxidants, vitamins, minerals, fiber, and balanced gluten-free source of essential amino acids. Rice protein is an excellent source of vegan, hypo-allergenic protein that is an alternative to soy, without the animal products of whey. What’s even better? 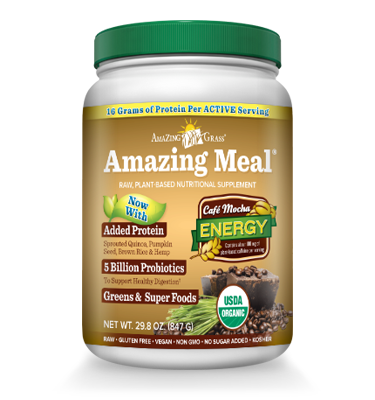 Amazing Meal is organic, cold-processed*, and gluten and dairy-free. Café Mocha adds the great taste of organic chocolate and coffee, with an energizing 100 mg serving of caffeine. *Guar gum, cane juice, stevia, and masking flavors have been heat treated. Makes a great post-workout supplement combo. Naturally sweetened with organic pure cane sugar and Stevia leaf extract. Add a scoop to your favorite protein powder or greens drink. 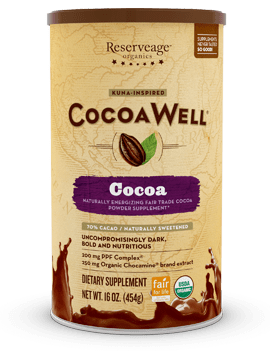 CocoaWell® supplement powders are available exclusively at Whole Foods Market. Other Ingredients: Organic Sweet Cinnamon Powder, Organic Rice Bran Extract, Organic Ground Vanilla Beans, Natural Jurassic Sea Salt. Soy & Gluten Free, Non-GMO. PLEASE NOTE: COCOA IS HAZARDOUS TO PETS. 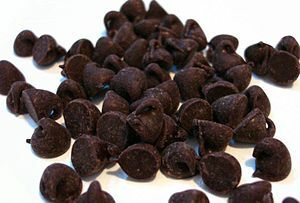 Although many positive effects of chocolate and its ingredients have been documented in the cardiovascular system, precautions in its use are mandatory. Indeed, the high caloric load of commercially available chocolate (about 500 kcal/100 g) may induce weight gain, a risk factor for hypertension, dyslipidemia, and diabetes. Surprisingly, a study in 49 healthy women showed no weight gain after daily consumption of 41 g chocolate, 60 g almonds, or almonds and chocolate together for 6 weeks.98 Thus, weight gain may occur only with higher amounts of daily chocolate and/or its prolonged use. Furthermore, the occasionally high sugar and fat content of commercially available chocolate has to be considered. Because high sugar intake is associated with obesity, caries, and diabetes, cocoa-based products with no or low sugar content are certainly preferred. On the other hand, cocoa itself, unlike chocolate, can be recommended without hesitation because it is low in sugar and fat. There is long historical evidence for the benefits of consuming cocoa. Latin countries have experienced and honored the benefits of cocoa when prepared in the home. There are so many benefits to cocoa consumption, and supplemental powders make it easy. They have the added benefit of giving you some energy during the day, as well as improving your cardiovascular health. It’s no wonder ancient people worshipped cocoa! « Want to win eco-friendly baby socks?